At Crescent Plastics, we extrude dozens of materials into thousands of custom shapes, but custom tubing and custom PVC pipe make up a significant part of our production volume. As a leading PVC tubing manufacturer, we serve customers in a range of industries, from furniture and appliances to lawn and garden and POP displays. Specialized marking options – Certain customers want no markings on their plastic PVC pipe; others want custom tubing with markings that facilitate assembly of their products or indicate part numbers. Weather-resistant materials – Our specially-formulated, impact- and weather-resistant extruded tubing is perfect for furniture, gazebos, or other outdoor consumer goods. Specialty colors & finishes – We also offer many specialized colors and finishes for those custom jobs that have a specific length and/or packaging requirements. In addition to PVC tubing, we also provide plastic pipe extrusion using other commodity materials, such as Polycarbonate, ABS, HIPS, PE, and PP. Crescent Plastic’s fully customized extrusion process is designed to meet your specifications and can deliver custom PVC tubing and PVC pipe in the length, diameter, and color you need. If you need high volumes of PVC pipe, with added custom specifications, our expert team can accommodate your most creative applications. 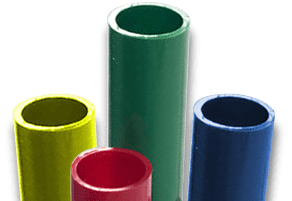 Crescent Plastics can provide a wide variety of ABS tube and pipe, in standard diameters, lengths, and colors to meet the requirements of your application. Our additional manufacturing proficiencies include on-line and off-line fabrication processes, which provide complete extruded tubing products that match your exact specifications. 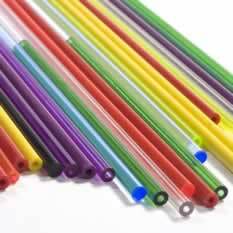 Crescent Plastics offers custom polyethylene tubing, custom polycarbonate tubing, and more to meet the exclusive needs of our customers. Based on your provisions, we can manufacture the custom, specialty tubing your project requires. Contact Crescent Plastics to discuss your custom tubing, PVC tubing, PVC hose and custom PVC pipe requirements, or request a quote today.